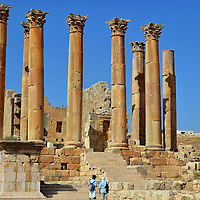 Jordan’s second most popular tourist attraction is ancient Jerash located about 30 miles from the capital city of Amman. You will be amazed as you walk through one of the best Roman archaeological sites outside of Italy. 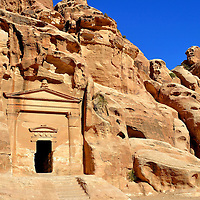 Among the desert of Jordan’s largest governorate (over 12,000 square miles) are many of the country’s most fascinating and popular archeological sites, including Petra, Little Petra and castles built by the Crusaders. Come find the Lost City of Petra. You will be awed by hundreds of rock-cut buildings from an ancient civilization. 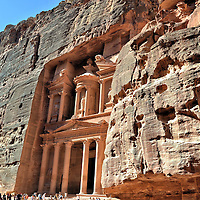 This top tourist destination in Jordan is a New 7 Wonders of the World and a UNESCO World Heritage Site.